Consulting Expenses and Rates – Allman Professional Consulting, Inc. I don’t think I’ve ever seen anyone write up something like this before, so I thought I would. There’s a perception out there that consultants are just like employees with the main difference being that they rake in all kinds of money. Also, many recruiters and staffing firms desperately try to ignore the realities of being a consultant. To everyone I simply say: get real. Consulting is a business and we incur expenses running our businesses. What expenses, you ask? Here’s a breakdown of mine. Other than rounding these are real. I’m probably leaving a few out but what follows gets the point across. I’m a consulting IT project/program manager with 10+ years of PM experience and over 30 years of industry experience. 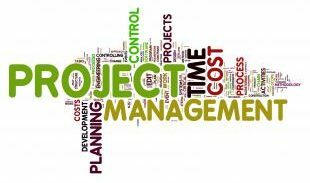 I have both PMP and CSM certifications. To break even I’ll need an hourly rate sufficient to generate $174,150 in revenue. How many billable hours should a consultant budget for per year? I could write a separate article on just that. Rather than pick a number of hours I’ll list a range and the corresponding rate for illustration. Each is $174,150 / (# of hours).